Leica's 1000-R is the ideal entry-level rangefinder for discerning beginners. The wide field of view makes target identification fast and easy. Simple and convenient selection of distance units (metres/yards) at the press of a button. CRF 1000-R users can also select the calculation of a point of aim correction for up- or downhill shots. 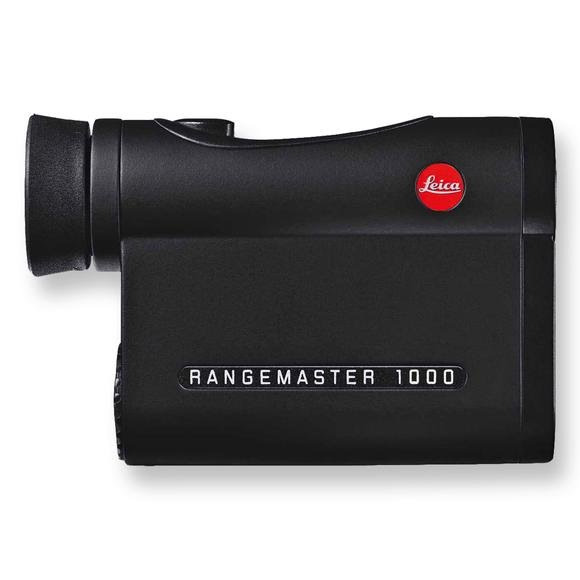 Leica &apos;s 1000-R is the ideal entry-level rangefinder for discerning beginners. The wide field of view makes target identification fast and easy. Simple and convenient selection of distance units (metres/yards) at the press of a button. CRF 1000-R users can also select the calculation of a point of aim correction for up- or downhill shots. In such cases, it calculates the equivalent distance the projectile would travel when fired horizontally (equivalent horizontal distance). The Rangemaster CRF 1000-R is therefore ideally suited for hunting in hilly terrain and particularly for mountain hunting.